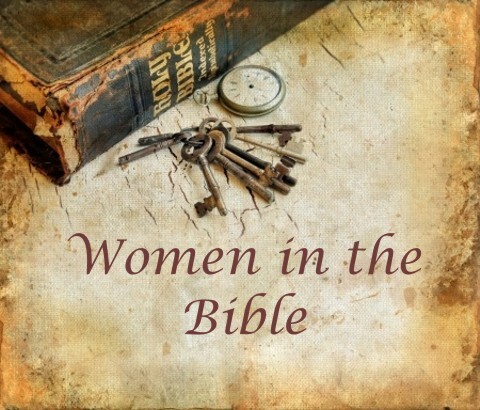 Women played a significant role throughout the Bible. Their influences, decisions, and relationships (or lack thereof) with God had a tremendous impact that still affects the world today. Eve eating the fruit in the Garden of Eden, Sarah convincing her husband, Abraham, to sleep with her slave, and Mary responding to Gabriel’s proclamation of Jesus’ conception—each of these women’s actions are still felt to this day. The five women I admire most from the Bible were ordinary women who lived extraordinary lives. They were driven by their concern for their families and their willingness to do the hard things in life so that others will be taken care of. “For this is the way the holy women of the past who put their hope in God used to adorn themselves. They submitted themselves to their own husbands, like Sarah, who obeyed Abraham and called him her lord. You are her daughters if you do what is right and do not give way to fear” (1 Peter 3:5-6). Sarah followed Abraham into the unknown because of God’s promise of building a nation through them. She had to have her doubts based on her lack of faith in encouraging Abraham to sleep with Hagar instead of waiting on God. Yet the Lord esteemed and supported her decision to have Ishmael grow up separately from Isaac. Sarah wasn’t perfect especially in her dealings with Hagar—yet she is used as an example of how wives should submit to their husbands without fear. Sarah modeled how wives are to put their hope in God as they allow their husbands to lead the home. “By faith the prostitute Rahab, because she welcomed the spies, was not killed with those who were disobedient” (Hebrews 11:31). Unlike the other four women, Rahab was known not for her virtuous lifestyle—she was a prostitute. She stands out of a whole city of people who could’ve surrendered to God, but instead were disobedient. Rahab alone stepped out in faith and believed God. She is called righteous in the book of James because she saved the spies. (James 2:25) Rahab is one of the faithful followers listed in Hebrews 11 and she is also a part of the human lineage of Jesus. The Lord took a prostitute and changed her life forever because of her one step of faith. “But Ruth replied, “Don’t urge me to leave you or to turn back from you. Where you go I will go, and where you stay I will stay. Your people will be my people and your God my God” (Ruth 1:16). Ruth gave up the only life she ever knew to live with Naomi in an unknown city and culture. She was determined to do whatever it took to stay with her mother-in-law. Being a young woman, Ruth could’ve deserted Naomi and sought security with another husband. However she chose to submit, obey, and respect Naomi—earning a reputation of being a woman of noble character. (Ruth 3:11) Ruth couldn’t have known what her future was going to be when she left Moab. Yet the Lord knew and through Ruth (just like with Rahab) the generational link led to the birth of Jesus Christ. “‘Go, gather together all the Jews who are in Susa, and fast for me. Do not eat or drink for three days, night or day. I and my attendants will fast as you do. When this is done, I will go to the king, even though it is against the law. And if I perish, I perish’” (Esther 4:16). Esther was a beautiful woman who won the favor of everyone who saw her. However her outward beauty was only a small part of the great woman she became. As an orphan who was loved and cared for by her uncle, Mordecai; she remained connected and committed to him even after becoming a royal queen. Esther was wise to fast and pray before she presented herself to the king. Instead of blurting out everything in an emotional tirade, she strategized a plan to reveal the wickedness of Haman. As a result of her courage, the entire nation of Jewish people was saved. “‘I am the Lord’s servant,’ Mary answered. ‘May your word to me be fulfilled.’ Then the angel left her.” (Luke 1:38). Most theologians agree that Mary was a young teenager when she was approached by Gabriel. Even in her youth, God considered her a woman of favor. Mary trusted in the Lord even though she couldn’t comprehend all that was going to happen in her lifetime. Yet she made sure that Jesus (when He was an infant) was presented to the Lord and did everything that was required by the Law of the Lord. (Luke 2:22) This woman of favor was near the cross when Jesus was crucified and in the upper room when the Holy Spirit came upon the believers. These women are examples of hope, faith, character, courage, and favor for all believers in Christ Jesus. Their lives reveal how God can use the most ordinary of us to display His awesome power and glory when we obey and submit to His will. Read about these women of God and offer no excuses to following God with all your heart.